The US-headquartered architectural practice Adrian Smith + Gordon Gill Architecture (AS+GG) has revealed the design for the Kingdom Tower, which is to be the world’s tallest building at 1 kilometre height. It will be built in Jeddah, Saudi Arabia. 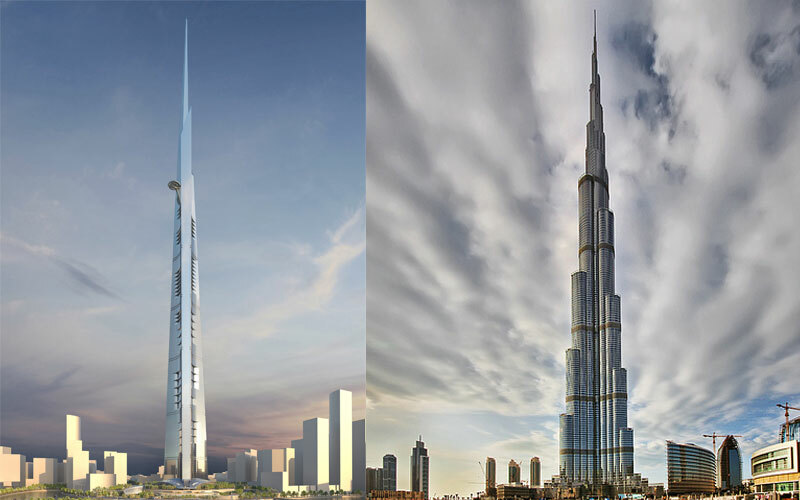 The tower’s height will be at least 173 meters (568 feet) taller than the world’s current tallest building, Dubai’s 828-meter-tall Burj Khalifa, which was designed by Adrian Smith while at Skidmore, Owings & Merrill (SOM). At over 1,000 meters (3,280 feet) and a total construction area of 530,000 square meters (5.7 million square feet), Kingdom Tower will be the centerpiece and first construction phase of the Kingdom City development on a 5.3 million-square-meter site in north Jeddah. The developer, Jeddah Economic Company (JEC) selected the scheme after a lengthy competition process, which included SOM, Pickard Chilton, Kohn Pedersen Fox, Pelli Clarke Pelli and Foster+Partners. Design development of the tower is under way, with construction to begin imminently, said a statement from AS+GG. Foundation drawings are complete while the piling is currently being tendered. Kingdom Tower will cost approximately $1.2 billion to construct, while the cost of the entire Kingdom City project is anticipated to be $20 billion. AS+GG’s design is both highly technological and distinctly organic, said the practice. “With its slender, subtly asymmetrical massing, the tower evokes a bundle of leaves shooting up from the ground—a burst of new life that heralds more growth all around it,” said Smith in a statement. The sleek, streamlined form of the tower was inspired by the folded fronds of young desert plant growth. “The way the fronds sprout upward from the ground as a single form, then start separating from each other at the top, is an analogy of new growth fused with technology,” added Gordon Gill. In addition, each of the tower’s three sides features a series of notches that create pockets of shadow that shield areas of the building from the sun and provide outdoor terraces with stunning views of Jeddah and the Red Sea. The complex will contain 59 elevators, including 54 single-deck and five double-deck elevators, along with 12 escalators. Elevators serving the observatory will travel at a rate of 10 meters per second in both directions.